Celebrate the marriage of the iconic Disney characters Mickey and Minnie Mouse is given a vibrant edge with this delightfully colourful mini figurine from the Disney Britto collection. This makes for a great gift or well earned treat to liven up any interior decor. 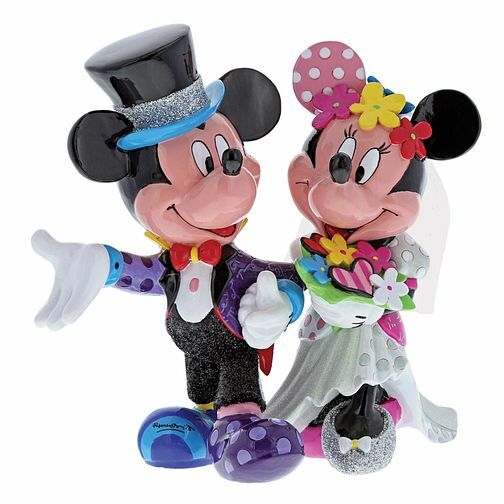 Disney Britto Mickey & Minnie Mouse Wedding Figurine is rated 4.0 out of 5 by 1.